We were privileged to be invited to be part of the celebration of the Te Maru o Kaituna Strategy celebration on Sunday the 21st September. 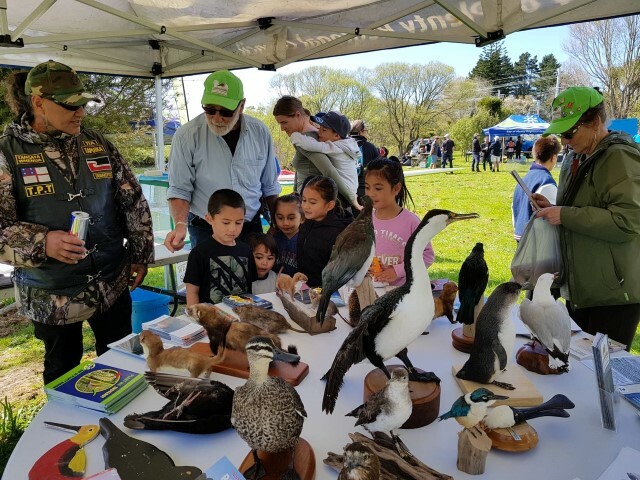 Te Maru o Kaituna River Authority is a co-governance partnership mandated to restore, protect, and enhance the environmental, cultural, and spiritual health and well-being of the Kaituna River. It is made up of iwi representatives from Tapuika Iwi Authority Trust, Te Kapu Ō Waitaha, Te Pumautanga o Te Arawa Trust, Te Tāhuhu o Tawakeheimoa Trust and Te Komiti Nui o Ngāti Whakaue, and council representatives from the Bay of Plenty Regional Council, Rotorua Lakes Council, Western Bay of Plenty District Council and Tauranga City Council. It is a permanent joint committee of the four councils. 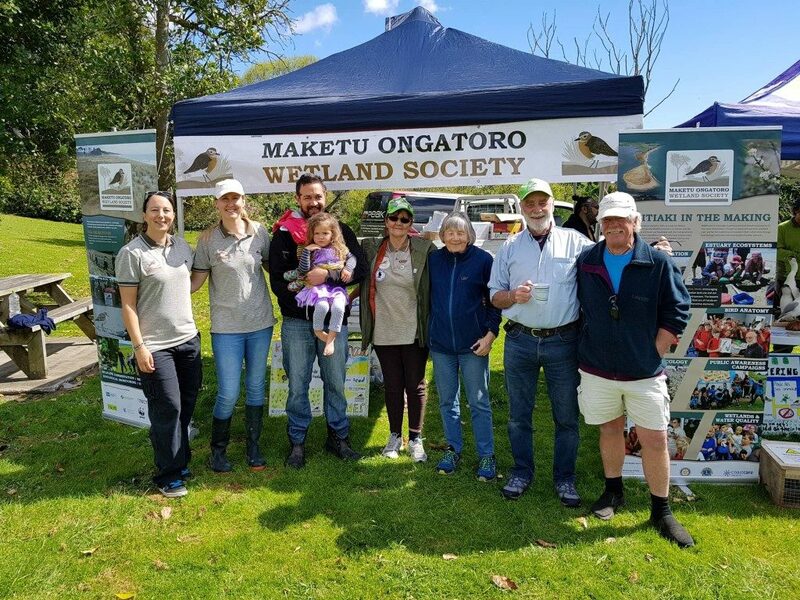 We are looking forward to seeing what actions come from this collaboration of Iwi and lead agencies for the protection and enhancement of the Kaituna catchment. Julian Fitter and Carolyn Symmans showing off our collection of stuffed critters. 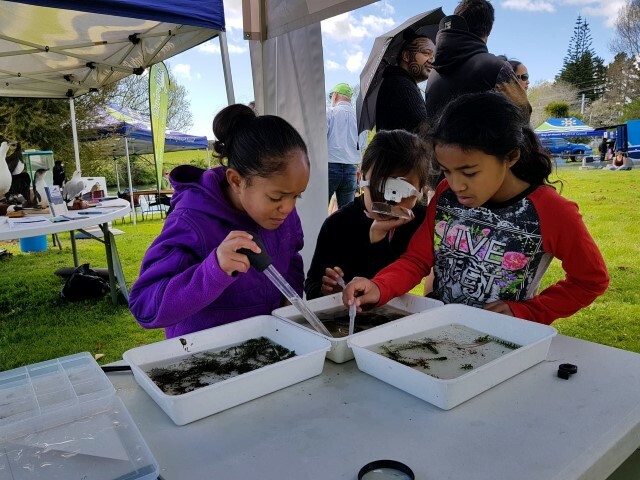 Some of the local tamariki having a closer look at the river creatures.